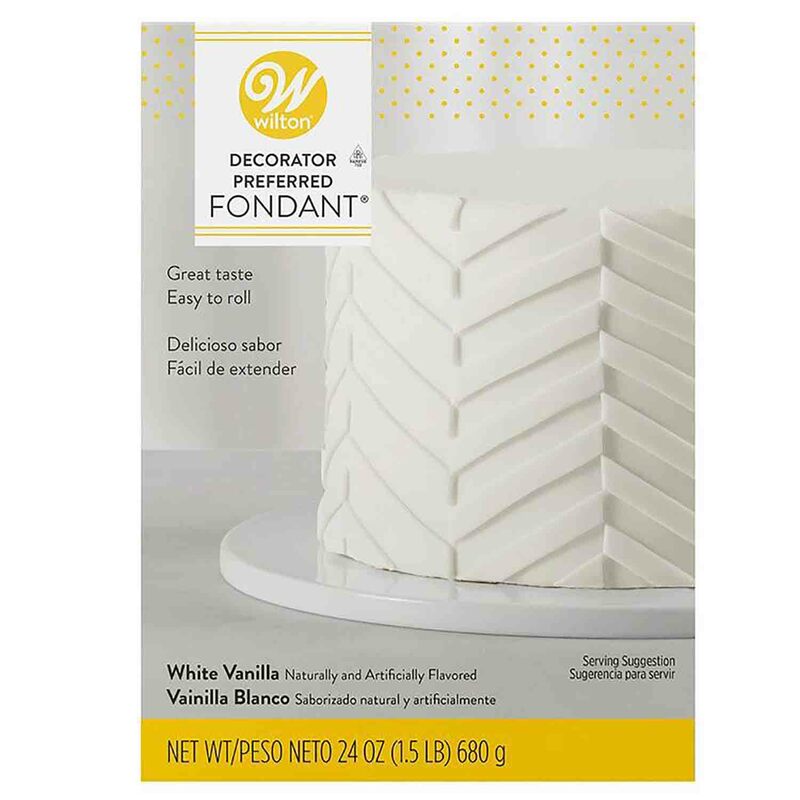 Brand: Wilton 710-2301 Units: 1½ lb. box Dimensions: 4¾" wide x 6½" long x 1¾" deep With great tasting fondant, it's easy to create fabulous cake decorations. White vanilla flavored fondant that is easy to roll. With great tasting fondant, it's easy to create fabulous cake decorations. White vanilla flavored fondant that is easy to roll.